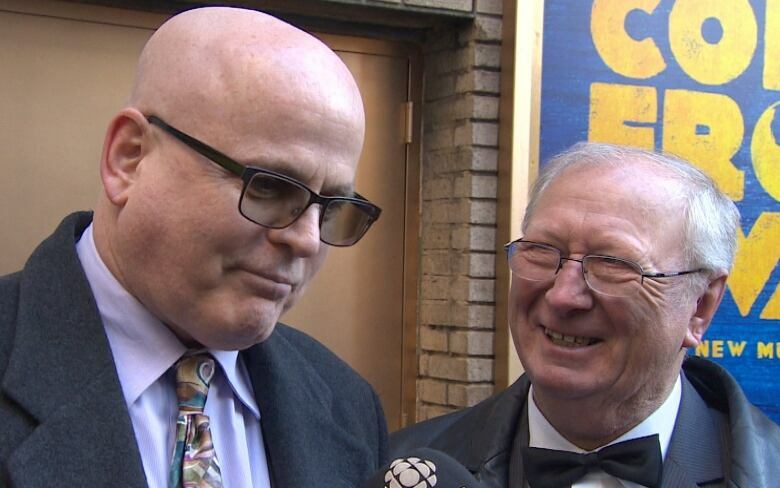 There were tears and happy reunions as Come From Away officially opened on Broadway Sunday night. 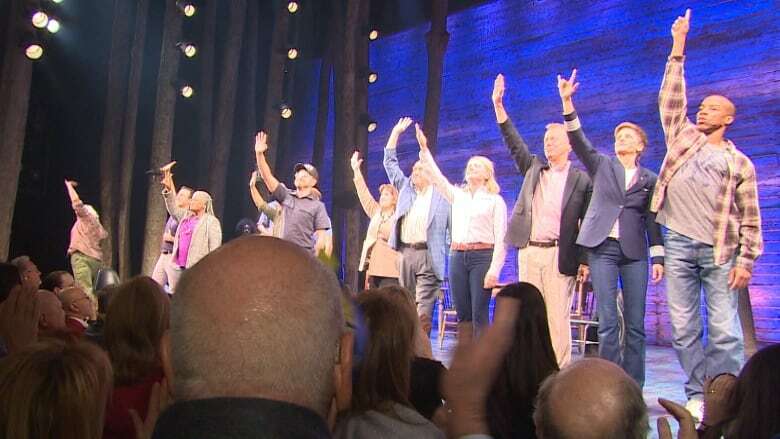 There were tears and happy reunions as Come From Away, a musical based on the response of Newfoundlanders in the wake of the Sept. 11 attacks in the United States, formally debuted on Broadway Sunday night. The Canadian show has been playing in previews on Broadway since Feb. 18, and is now officially open. And if the audience reaction was any indication, Come From Away — a story of generosity, compassion and human kindness — is off to a great start. The finale number had the crowd on its feet, clapping — and, in some cases, weeping. "It is better the second time. Canadians, Americans working together, it's heartwarming," said one audience member, who travelled from Canada to see the show. Newfoundland and Labrador wasn't far from the red carpet, with provincial flags draped over shoulders and Gander pins stuck to people's lapels. "Everybody is your neighbour. If somebody needs help, you help them," said Diane Davis, a retired school teacher who is one of many real-life residents of central Newfoundland who inspired the show. Come From Away tells the story of people in Gander — a town with a population of about 10,000 — that had to swiftly find ways to accommodate and care for nearly 7,000 stranded passengers who landed at Gander International Airport when U.S. airspace closed suddenly in 2001. For days following the attacks, residents of the Gander area opened their homes and hearts to strangers — garnering them international praise for acts of kindness they say were merely instinctual. Gander was one of many places where grounded travellers were directed, but the story of its people, its generosity, and the strong bonds that formed between passengers and local residents is what attracted the attention of two Canadian playwrights, David Hein and Irene Sankoff. Sunday's opening night gave the people from Gander the chance to reunite with stranded travellers who learned quickly where Gander was and what its people are all about. Appleton Mayor Derm Flynn, who inspired a character in the show who provides lots of comedic relief, met on the red carpet with Tom McKeon, one of thousands of people who found themselves stranded in unknown territory. "When we got on the ground, we didn't even know where we were," said McKeon,who was on the second plane to land in Gander and one of the last to empty. "I was asked to take a shower at somebody's house and I thought, 'What the heck? What is really going on here?' I was counting my money and trying to stick it in my sock." But when stranded travellers walked into stores, clerks told them to help themselves to what they needed, said McKeon, who wound up staying in Flynn's basement in the days U.S. airspace was closed. "Come on in, sit down, have a drink and have a good time. Have a cup of tea, b'y," Flynn laughed. 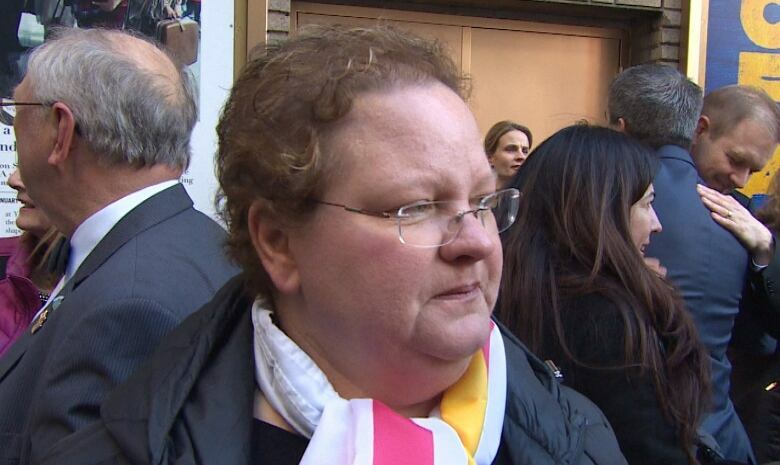 "The first day or two was [McKeon] trying to figure out what the hell we were saying." 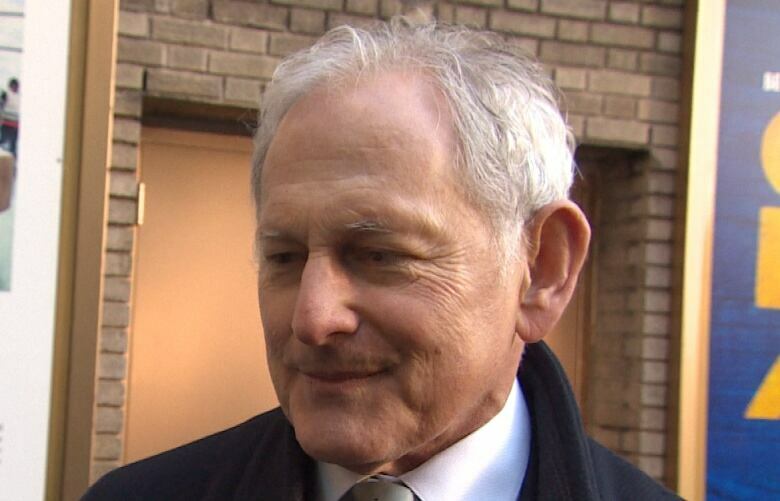 Among those on the red carpet was veteran Canadian actor Victor Garber, who is familiar with Newfoundland and Labrador, having been a reoccurring cast member in Republic of Doyle. "This is more timely than most musicals," Garber said. "We are so in need of being reminded that we are all here on this planet together." For cast member, Petrina Bromley, who plays SPCA manager Bonnie Harris and other characters, envisioning the setting for the musical comes more naturally than others. Bromley is the only member of the cast from Newfoundland and Labrador. Romano De Nillo, who is also from the province, is in the band. "I'm always thinking of home, and it's importance and the Legion and you know, it's all people you recognize from your own world," said Bromley, at a party at Gotham Hall following the show. 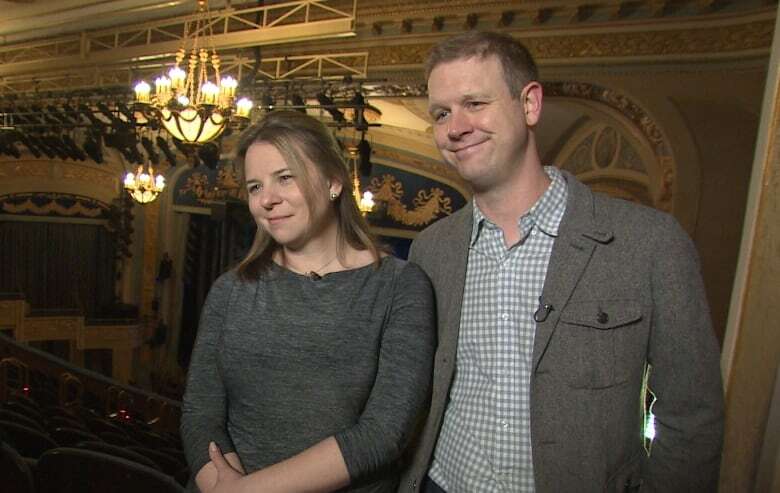 The husband-and-wife team of Hein and Sankoff, who lived in New York during 9/11, wrote Come From Away after interviewing people in Gander at the 10th anniversary marking the fall of the Twin Towers. It's one of only a handful of Canadian plays that have managed to reach a Broadway stage. That rare opportunity is not lost on Hein and Sankoff. "It's a tough road, but any road in theatre is a tough road. 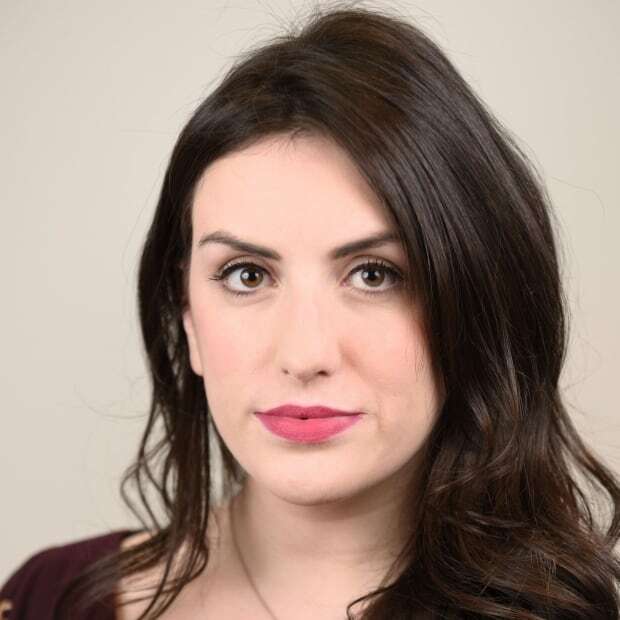 Yes, this is more in the public eye than a lot of Canadian theatres — but no matter where you are, it's tough," Sankoff said. Helping with the show's success is the support from the so-called "Ganderites" and "Come From Aways," she said. "We got their support. We got their blessing." The show has been well received by audiences in other parts of the United States and in Canada; it has been shown at Toronto's Royal Alexandra Theatre, Washington's Ford's Theatre, San Diego's La Jolla Playhouse and the Seattle Repertory Theatre. While in previews on Broadway, clapping and laughter rang through the Gerald Schoenfeld Theatre, with Canadian and Newfoundland flags peppering the crowd. But are New Yorkers ready to see the light in a tragic mark in their not-so-distant past? Oz Fudge, a municipal officer in Gander who is portrayed on stage by actor Geno Carr, thinks the show will help heal old wounds. Fudge tells the story of two New York City police officers who responded to Ground Zero and combed through the debris for months. The musical offered them something that nothing else could years after the tragedy, he said. "It healed them a little bit because it's on their mind 24/7. But this play has pushed that back a little bit and they're starting to see the good side," said Fudge, a 30-year veteran of the force. 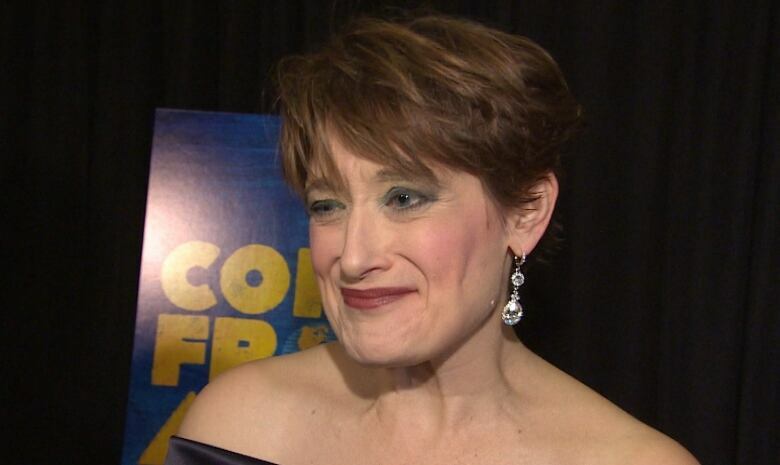 But the excitement is just beginning for the Come From Away cast. Prime Minister Justin Trudeau and his wife Sophie are expected at Wednesday night's show.